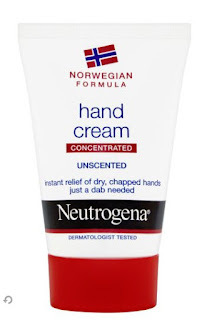 Neutrogena's Norwegian Formula Concentrated Hand Cream has to be the absolute best for repairing seriously dry or chapped hands. And best of all it'll only set you back around £3. My advice? Buy two or three tubes, keep one in the car, one in the kitchen and one in the bathroom and you'll never have dry hands again. 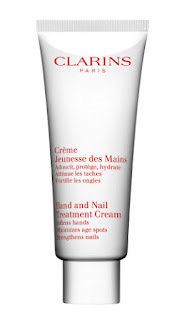 Clarins Hand Cream is my go to every day hand cream to make sure that my hands never get to the stage where they need a full on repair. Make it part of your morning and evening ritual. It's not sticky, it goes in beautifully and it's unscented which I prefer. A bit more expensive than the Neutrogena but to me worth every penny and one I am never without. 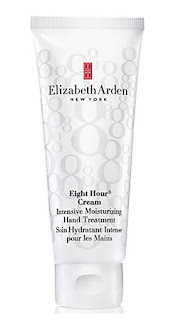 Elizabeth Arden is famous for their Eight Hour Daily Moisturiser - the Eight Hour Lip Balm is incredible as well, so if you're looking for a new hand Cream give this Elizabeth Arden Eight Hour Cream Hand Treatment. Again it's not sticky and non scented and will give your hands the necessary protection from the cold weather. 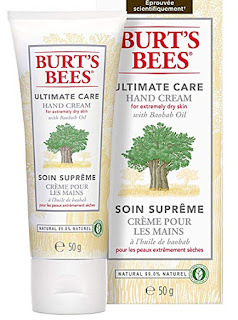 Burts Bees Hand Cream is another I've tried particularly when over in the US, where it's everywhere. It's reasonably priced and does what it says on the tin. Expect to pay between £7 and £9 a tube. It's well worth giving this one a go if you don't want to shell out for Clarins or Elizabeth Arden, and you don't need the full-on repair of the Neutrogena. One thing you have to remember about hand creams is that although they will do the job, you have to do yours, and if you have seriously dry hands, or you wash your hands often, you'll need to re-apply more often than if you've been taking care of your hands all through the year and avoided the 'desperately needing repair' stage.